While not the most popular hair appliance, crimpers are still made and sold. If you want to crimp your hair once in a while, the modest investment is worth it since crimpers don't cost that much. Below is our extensive hair crimper page which sets out the types of hair crimpers, how to choose and then a convenient list of the best hair crimpers based on customer feedback. 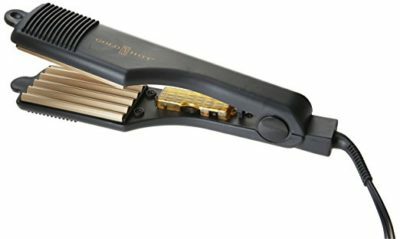 How We Choose the Best Crimpers for This 2017 List? 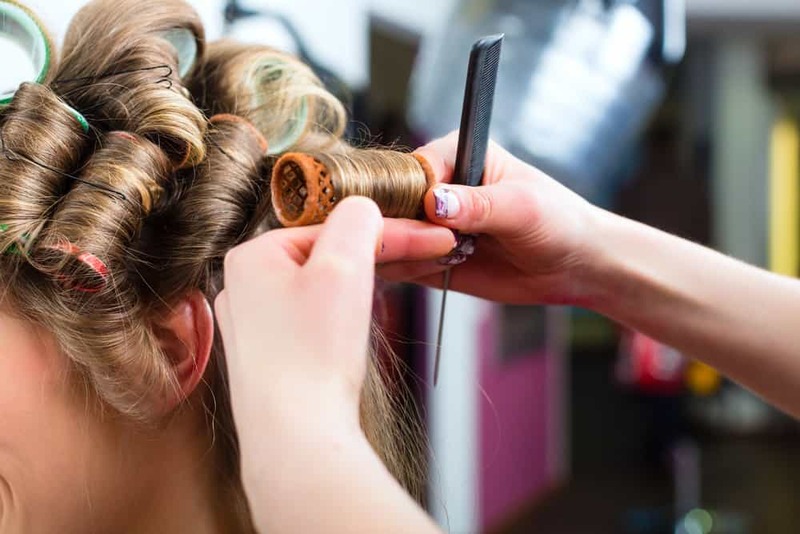 A hair crimper is like several hair styling tools such as straighteners and curling irons, so the key attributes you will want to look for is similar to them. The temperature setting makes a big difference in how well the crimper is going to work for your hair. 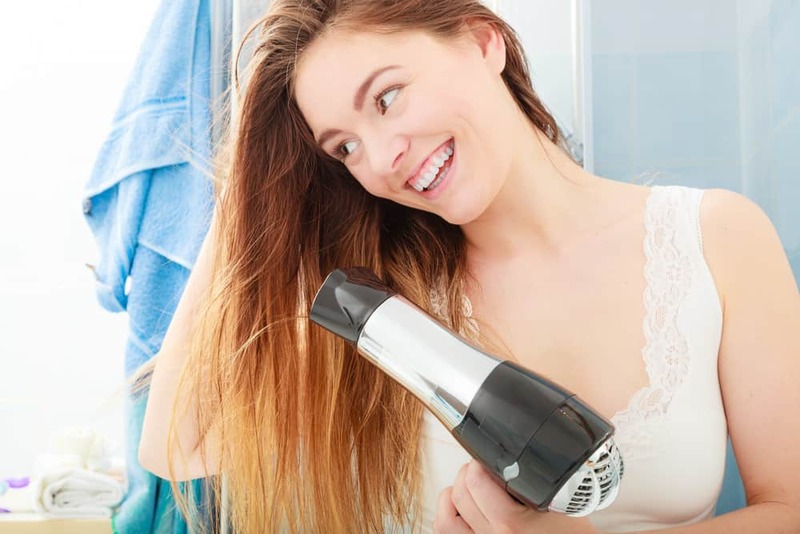 Depending on your hair type, you may need to set either a higher or lower temperature so, a crimper with an adjustable temperature setting is ideal. You can usually find metal plated crimpers cheaper, but the ceramic plated ones are much better for your hair. The ceramic plated crimpers help control frizz and cause less damage to your hair. 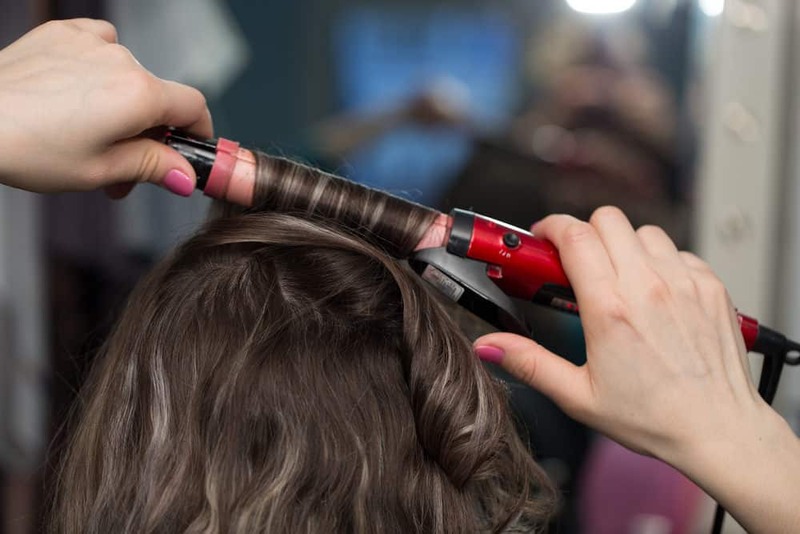 Just like curling irons, you can find crimpers in several different shapes and sizes. The closer together the waves are on the plate the tighter, more voluptuous waves you’ll have compared to loose beach waves with a bigger plate. When we picked the top ten best crimper options for this list, all the key features listed above played a big role. We have compared some crimpers that have ceramic plates and adjustable heat settings, but you may notice that not every single one has these features. We narrowed it down even further by only selecting products that are highly-regarded as well as factors such as durability and quality. IMPORTANT: Our list of best hair crimpers below is not based on our testing every crimper available for sale. It's based on customer feedback and reviews. The list is meant to be a guideline only and we also chose to include a diverse selection as well. Design: Blue crimper to create smaller, tighter waves. 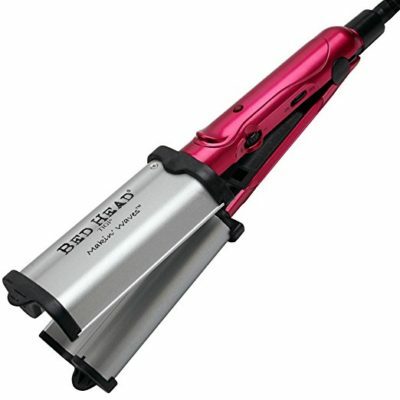 Bed Head has a great line of hair styling tools, including crimpers. This ‘totally bent’ crimper has a two inch base with five small waves inside the plates. The plates make small tight waves in your hair giving you lots of volume. The plate material is made up of chrome. 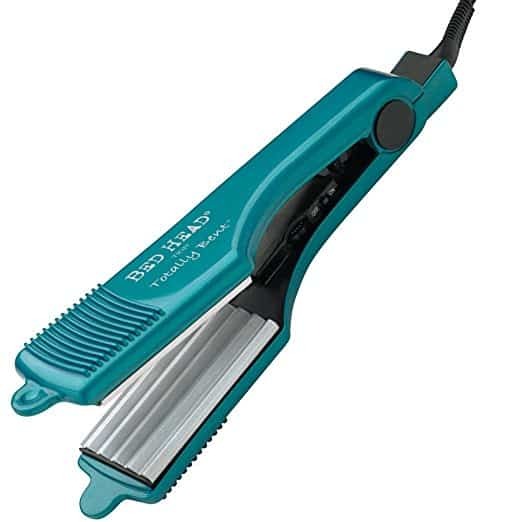 This crimper is a good option for strong, thick hair because the chrome provides direct heat but unlike the ceramic plated crimpers, it’s not the best for thin hair that can be easily damaged. 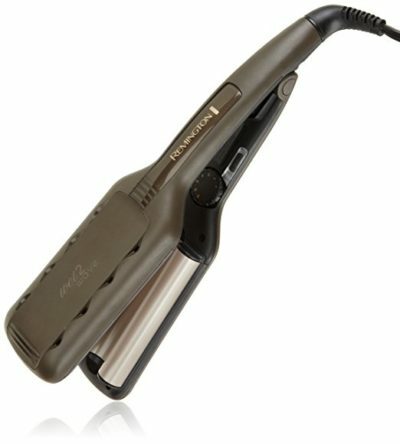 This crimper also has variable heat settings so you can adjust it to the temperature that works best for you. Another great tool from Bed Head is the Wave Artist Deep Waver that comes in a light teal color. This crimper features one deep wave in the middle of the plate that will create big beachy waves. This crimper has multiple heat settings that go up to 400 degrees Fahrenheit. The Wave Artist also has a ceramic plate that prevents damage to your hair when the temperature is up high. Try twisting your hair before crimping for even bigger and softer waves. The Makin’ Waves “S” Waver is a high quality crimper from Bed Head as well. 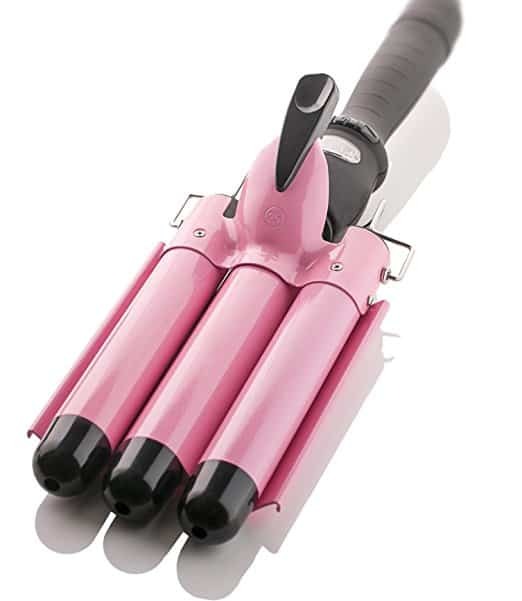 The crimper comes in a pink color, and the shape of the barrel makes for rippling “S” shaped waves. This crimper has multiple heat settings for all hair types and instant heat recovery to make your results last longer. We’ve found that this crimper lasts for quite a long time. Many users report using the crimper at least three times a week, and it has lasted them well over three years. 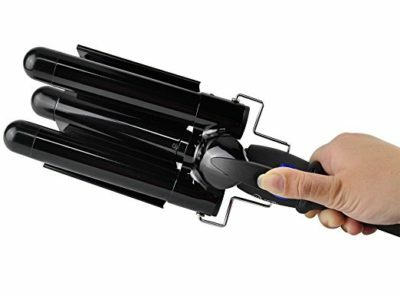 The Blue Top Hair Waver is a great barrel crimper. It features three jumbo 25mm barrels to style your hair into big loose “S” shaped waves. The ceramic plates do a nice job of preventing damage. A unique benefit of this crimper is that is has a PTC (Positive temperature coefficient) heater. This crimper is beneficial because it heats up quickly, uses less power and overall lasts longer. The heater also has adjustable temperatures and a convenient indicator light that lets you know when it is ready. 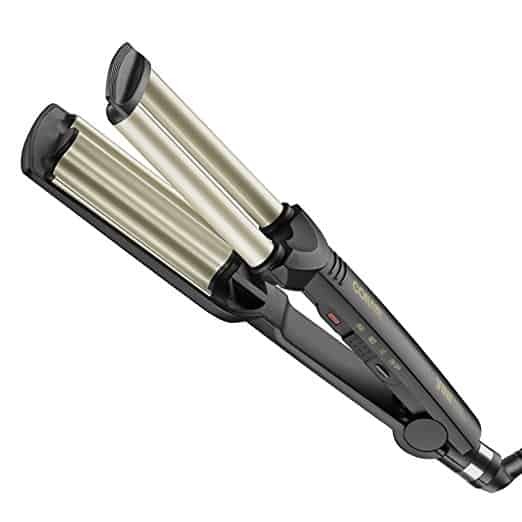 The Remington wet two waves hair waver is a convenient two in one tool for hairstyling. We found this crimper really awesome because you can use it on your wet hair and it will dry and style at the same time. There is a vent at the top of the crimper that lets out the steam as it is drying your hair. The plates are made up of pearl ceramics that keep your hair from getting any damage while it’s wet. The Remington crimper has a feature where it will automatically shut off after sixty minutes. This crimper is a useful safety feature if you tend to forget and leave it turned on. Design: Pink barreled crimper that creates easy tight waves. The Alure three barrel is another high quality crimper. Unlike the Blue Top waiver, which creates loose “S” waves, the Alure creates smaller, and tighter waves. This crimper comes with pink high-grade ceramic plates that claim to give shiny waves without any frizz. It heats up to 430 degrees Fahrenheit within just sixty seconds and also has a LED display so you can easily read the temperature. Based off of the reviews we’ve read about this crimper, we’ve found that this will last you for several years while maintaining the same high performance as the first use. 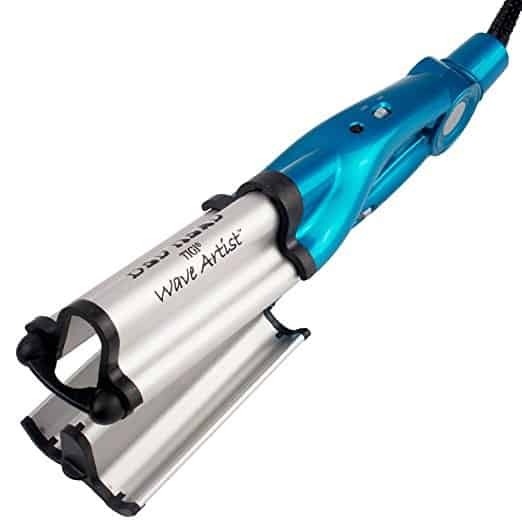 The Hot Tools Deep Waver has the similar plate shape as the Bed Head Wave Artist. The single wave in the middle creates soft beachy waves. This crimper is made with tourmaline ceramic that produces ions to seal your hair cuticles and make it shinier. The Hot Tools Deep Waver also has far-infrared pulse technology to bring it to temperature quickly, and stays hot for a long time. This is a unique feature that’s not usually found in a lot of hair beauty tools. Another convenient feature it has is an extra-long eight-foot cord that swivels all the way around. Design: Tourmaline barrels create tight shiny waves. You can purchase the Conair YOU Wave Ultra in three colors, black, teal or pink. The crimper itself has a unique gold ceramic plate shape. It creates a tight beach wave look because it has two barrels, one barrel on top and one barrel on the bottom. This crimper has the tourmaline ceramic that reduces frizz and prevents static while making your hair shinier. 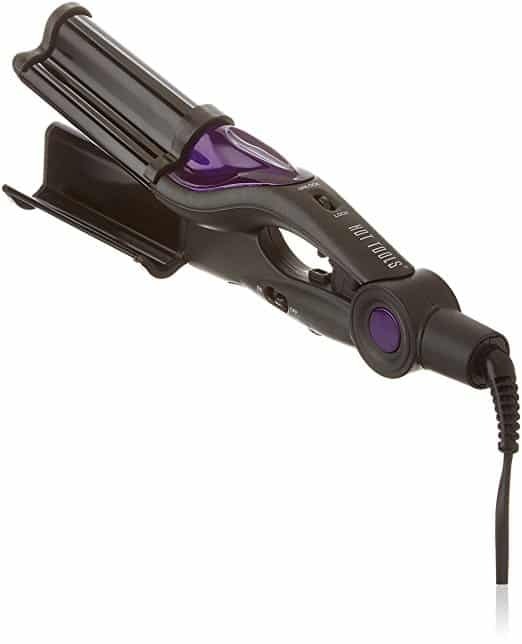 The crimper features a 30-second heat up and has an adjustable heating setting for different hair types. Design: The narrow plates create several smaller, tight waves. The Gold N’ Hot Crimping Iron has a two-inch base and five close together waves on a gold tone plate. This crimper makes really tight small waves in your hair with lots of volume. This crimper has an adjustable dial to change the temperature and an indicator light that lets you know once it is ready. We didn’t find on the reviews info on how long this crimper will last, but we found that you can purchase a two or three-year protection plan for a couple of extra bucks.